I run a full time Virtual Assistant business with many clients. I do not have time for housework, but recently the maid has retired. I now have to do my OWN housework! Problem is finding the time! I do my own washing, when I get up first thing in the morning, I take the washing basket to the scullery and put in a load, I have a quick program that take 29 minutes, the minute the washing is finished and after a couple WARNINGS from my border collie puppy, I hang it out to dry, I do this daily and as there is 4 of us we have a LOT of washing, especially the teenage kids. I also will turn on the dishwasher – best thing I ever bought – every morning. 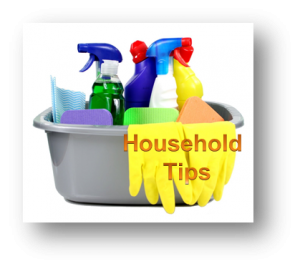 The kids do specific tasks daily, taking turns, they empty the dishwasher, get the washing in off the line, feed the dogs, lay the table for supper, peel potatoes (if we have), pick up dog poo, HOUSEWORK (on weekends of course), these tasks are shared and they do it no problem. This helps me a lot. My hubby cooks the meat and I prepare the veggies and what we are having with, sometimes I just have to prepare and put in little dishes and my hubby will cook whatever I want cooked. If I am going to use my slow cooker then I quickly prepare and turn it on later in the day to cook. Slow Cooker another great buy for a busy work at home mum.We recently bought a pressure cooker, now that cooks in double time and save LOADS of time. Since the maid retired, my daughter and myself share the housework, I do bathrooms, kitchen, skullery, she does hoovering lounge, dusting etc. At weekends my son hoovers bedrooms. So we just about manage. We have a routine where everything gets done and by sticking to the routine everything works out great. If I have to work late or work weekends, my hubby will cook the whole supper and see to the kids. If my hubby is home he will prepare lunch for us all, and he will make lunch in the mornings all prepared for when he is not home. By us working together in the house and my hubby in the garden (and me occassionally), I am able to meet deadlines and work extra time if needed after hours. I always found it very hard to do housework and also to work full time as a VA, it just didn’t work and the housework didn’t get done as work must always come first. So we now have a balanced household and everything works and we all know what we have to do to make it work. Sharing is caring and that is what it is about in our house. Everyone will muck in and help when needed. How do things work in your household with you working full time as a VA or Transcriptionist?